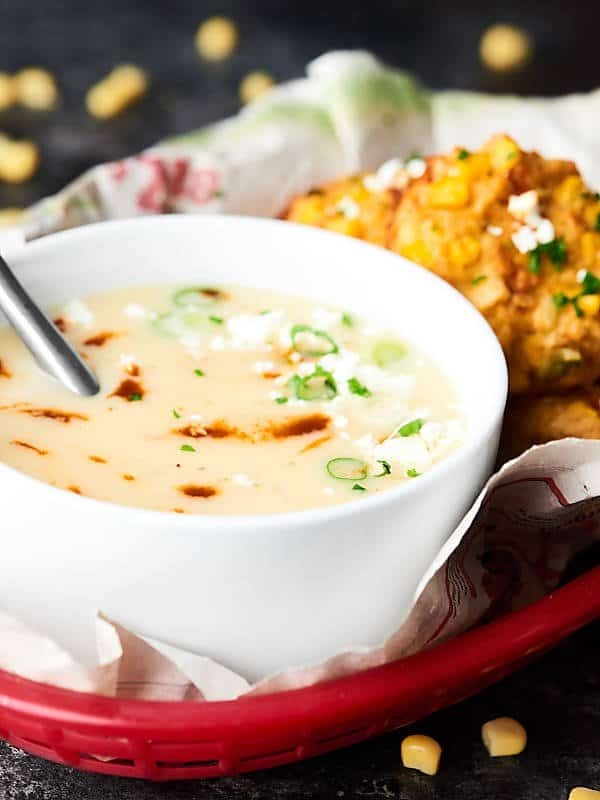 Baked Corn Crab Cakes paired with a Three Cheese Chipotle Potato Soup is the perfect cozy, winter dinner. 10 minutes of prep and you’ve got yourself a restaurant quality meal! Thanks to Idahoan® Premium Steakhouse® Potato Soups for sponsoring today’s post. This past weekend Trevor and I actually took some time off and. . .
We slept in, we walked around the mall (whaaaat? ), and by the time we knew it, it was time for dinner. I was feeling pretty tired and we had eaten out for lunch, so I thought it would be fun if Trevor and I went home and cooked together. 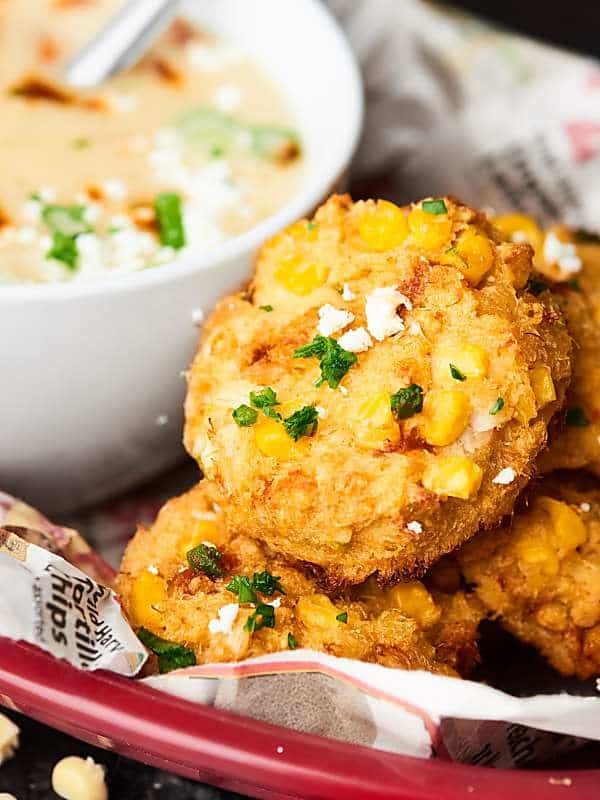 Baked Corn Crab Cakes with Idahoan® Premium Steakhouse® Three Cheese Chipotle Potato Soup. And letmetellyou, #noregrets about skipping out on dinner out that night. 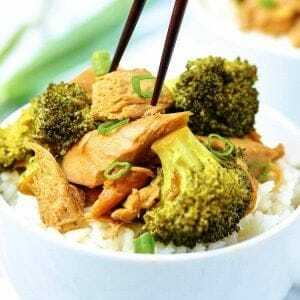 Not only was this meal ultra delicious, it was ridiculously easy! Let’s start with the Baked Corn Crab Cakes. 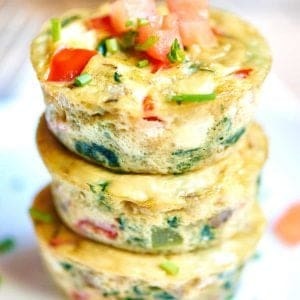 Basically, throw all the ingredients – mayo, egg, dijon, Worcestershire, yellow mustard, garlic powder, salt, hot sauce, crab, green onion, crackers, and corn – into a bowl and mix it up. Then all you need to do is form them into patties (no fear, it’s easy, too) using a 1/4 cup measuring cup and bake ’em up. 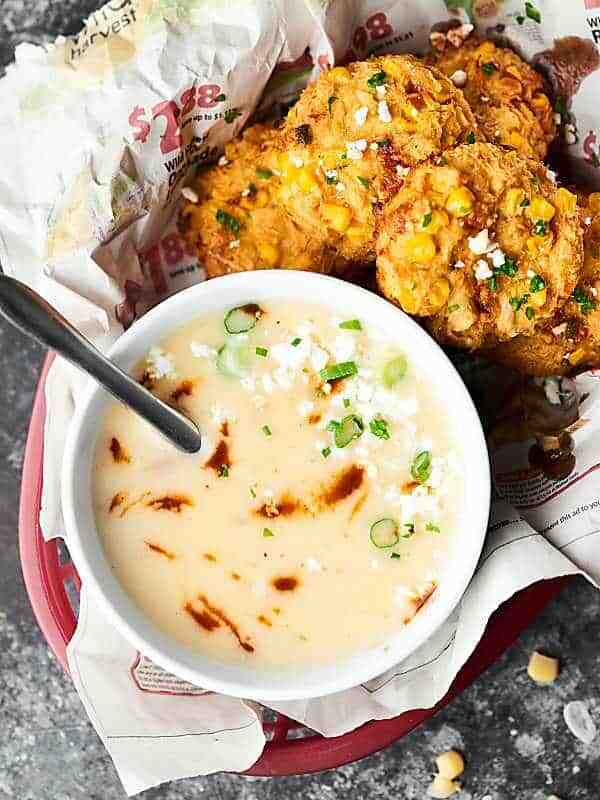 While the Baked Corn Crab Cakes are getting all golden and crispy delicious, start the soup. 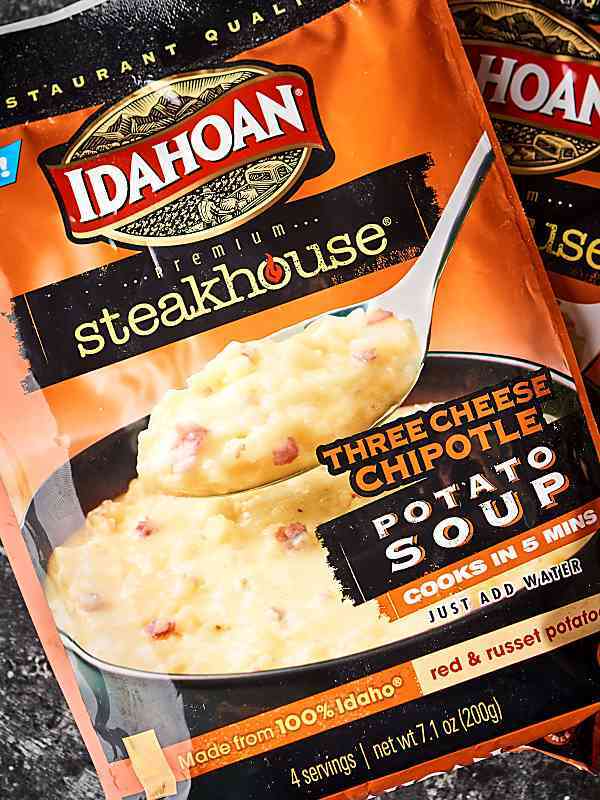 Today we’re using Idahoan® Premium Steakhouse® Three Cheese Chipotle Potato Soup which is packed full of REAL Idaho® red potatoes, red potato skins, flavorful spices and rich cheeses. It’s kiiiiiind of the perfect paring with the corn crab cakes. A little heat from the soup + the rich, tender, slightly sweet crab cakes? The soup, if you can believe it, is even easier to make than the cakes! Simply bring water to a boil, pour in the soup, whisk to combine, and let simmer for 5 minutes. This meal seriously couldn’t be any easier, but nobody will ever know! How’s THAT for a restaurant quality meal at home?! What’s your favorite thing to pair with soup? Show Me the Yummy! 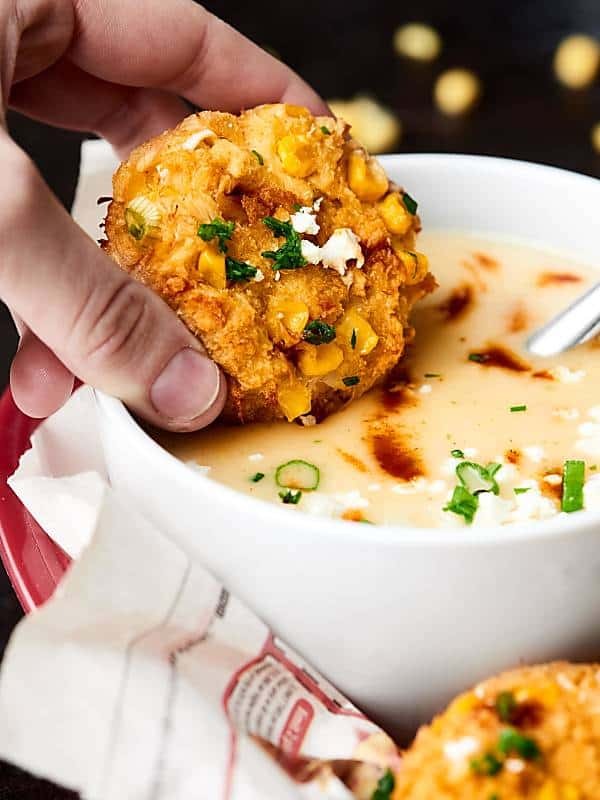 Baked Corn Crab Cakes paired with a Three Cheese Chipotle Potato Soup is the perfect cozy, winter dinner. 10 minutes of prep and you've got yourself a restaurant quality meal! 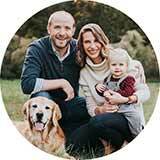 Preheat oven to 350 degrees F and line a rimmed baking sheet with a silicone mat or parchment paper. In a large bowl, whisk together mayo, egg yolk, dijon, Worcestershire, mustard, hot sauce, garlic powder, and salt. Add in crab, green onion, crackers, and corn. Pack a 1/4 cup measuring cup with mixture and dump out on prepared baking sheet (see video for visual). Gently press down on the crab cakes, so they flatten slightly (see video or photos for visual). Cool slightly, serve and enjoy! 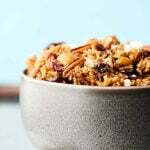 Thanks again to Idahoan® for sponsoring today’s post! I need to try that soup! 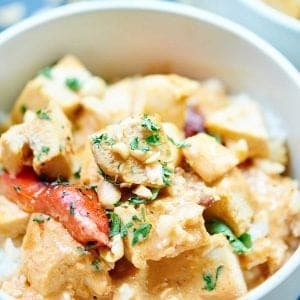 It looks so ridiculously easy, and it sure beats waiting around for an hour for potatoes to cook for soup! Those crab cakes must be delicous to, that mayonnaise mustard part looks so flavorful. Ummm okay, total game-changer!! I would’ve never thought to pair crab cakes with soup, especially THREE CHEESE chipotle. Heck to the yes! I’m boring and love pairing a good piece of bread with some soup! Hey now, baked not fried sounds so good and it’s been ages since I made one of these! Thanks Jennifer! I have not seen these soups in stores in our area, maybe I need to look closer or put a but in our grocer’s ear to get them. What a perfect, comforting pairing. Drooling over this! I’ve got to grab some of these soups! And I’m loving that these crab cakes are baked and not fried too! NEED to get these on our menu soon! I want all the crab cakes!!!! YUMMMM! I’m so hungry right now! Seriously, there is not a thing about these baked corn crab cakes that doesn’t sound awesome. YUMMMMM! This is a soup and a side I can get behind! Those corn crab cakes look perfect! What a delicious combination! How did you know we have been craving crab cakes?! These are BOMB. I love that they’re baked too! Crab cakes are a total weakness area for me. Never thought to dunk them in potato soup, but that sounds totally dreamy! These crab cakes look SO tasty!! Love it, Jennifer! Crab cakes!?!? Yes, please1 These sound delicious! I’ve actually tried that soup, and it’s fantastic! I completely agree. And I love your crab cakes. What a fabulous idea to dip the crab cakes in the soup! LOVE. Isn’t it SO good?! Thank you so much Susan! These are so gorgeous. I bet they taste amazing. Days off are everything. Glad you two got some down time.